See full article at Duke Chronicle. "Students in the first-year seminar, named Values in Action, partnered with the Philanthropy Lab, a national philanthropic organization, to present a combined $101,000 in grant funding to a variety of organizations Monday. President Vincent Price, speaking before the students at the presentation, said that he believes philanthropy is ingrained into the culture at the school. 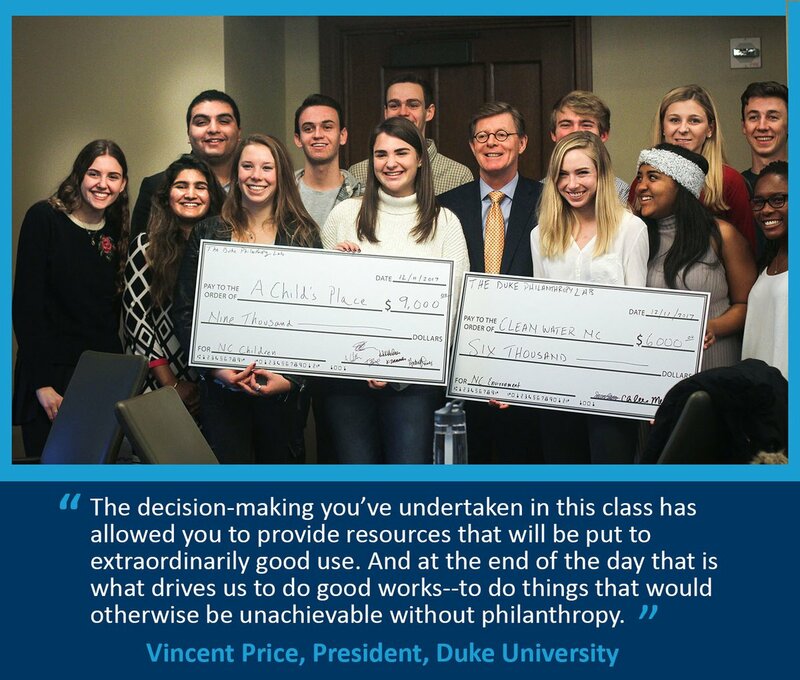 Taught by professor of religious studies Laura Suzanne Lieber and Christy Lohr Sapp, associate dean for religious life at Duke Chapel, the class was the first ever to partner with the Duke Philanthropy Lab. Students were placed in subcommittees of various topics throughout the course of the seminar to decide where to allocate funds."